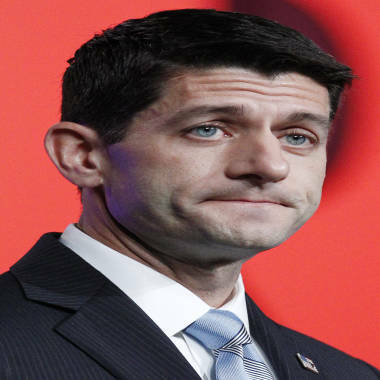 LAKELAND, Fla. – Paul Ryan dismissed claims Friday afternoon that he is not being properly utilized on the campaign trail as Mitt Romney’s running mate. Ryan said he disagrees with the claims made by his fellow Cheesehead, saying he is “absolutely” being utilized enough. The quick stop outside of Tampa came just a couple hours after the GOP presidential nominee released his complete 2011 taxes – something Republicans and Democrats alike have been pressuring Romney to do for some time. Romney paid more than $1.9 million in taxes on income of about $13.7 million and donated about $4 million to charity, although he only claimed a deduction of about $2.25 million from those donations, according to the campaign. Vice presidential candidate Paul Ryan, R-Wis., appears at an AARP convention Friday in New Orleans. Ryan reacted to Romney’s “unique” tax situation. "I think that what this shows is that the Romneys are extremely generous people,” he told reporters. “They gave away 30 percent of their income to charity so Mitt Romney has always believed to whom much is given, much is required and he is living proof of that and this just shows you how generous the Romneys are as people." The seven-term Wisconsin congressman, who walked thru the outdoor market in the Sunshine State with his 78-year-old mom, Betty, who is a Florida resident, held his only public event earlier in the day when he addressed the AARP convention in New Orleans. Ryan received a very unfriendly welcome by the crowd but it was nothing he didn’t expect. “Entitlement reform has unfortunately been made very partisan by partisans and so I have gotten that kind of reaction and unfortunately it's what we've come to expect because the politics of reforming entitlements has become very bitter,” he said before heading to attend private fundraiser in the area. “It's very unfortunate because if we let the politics get the best of us-- these problems are going to get out of our control. We've got to fix Medicare before it goes bankrupt." According to the NBC News/Wall Street Journal poll released Thursday, the Romney-Ryan ticket trails President Barack Obama in terms of how voters believe each ticket would deal with Medicare: 47 percent of voters surveyed believe Obama would better deal with the program compared to just 37 percent who believer Romney would handle it better.